A timeless classic for small children, inspiring a child's awe and love for the natural world. Life cycles, habitats, and amazing diversity of insects and spiders. Eye-catching illustrations. 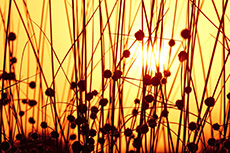 Celebrates the traditions surrounding the longest day of the year, blending science and social studies. Open, bright spread appeals to younger kids. 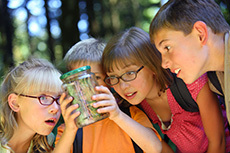 Inspire adults in guiding young people to discovering the wonders in their own backyards, local parks, the wonder of nature everywhere. This fun and family-friendly afternoon is a big favorite for Audubon members and community friends and families. Butterfly tours are guided by Audubon leaders who take great enjoyment in seeking out, capturing, identifying and releasing the many butterflies found at Elkhorn Creek Biodiversity Preserve. They let everyone join in the fun of the hunt by providing butterfly nets and fun technique ideas for romping over the prairie and carefully catching these elusive winged friends. 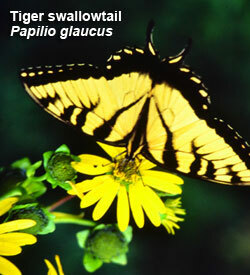 From 1—5 p.m., you can join guided butterfly tours or look on your own for these winged beauties. Tours will begin at 1:00, 2:00, 3:00 and 4:00 p.m.
A special feature is a free copy of the “Illinois Butterflies and Moths” pocket guide for as long as they last. We’ll have a shady rest area with chairs as well as a restroom, cold beverages and snacks. If weather is a bit questionable, call the Blackmores at 815-938-3204 before 10:00 a.m. on July 25th. Explorers at previous Butterfly Festivals have found 29 species of butterflies and skippers, among them Tiger Swallowtail, Meadow Fritillary, Buckeye, Comma, Peck’s Skippper, Silver Spotted Skipper and Milbert’s Tortoiseshell. The preserve is located about 3 miles southwest of Forreston in the southeast corner of West Grove and Freeport Roads. The parking lot is off of West Grove Rd. 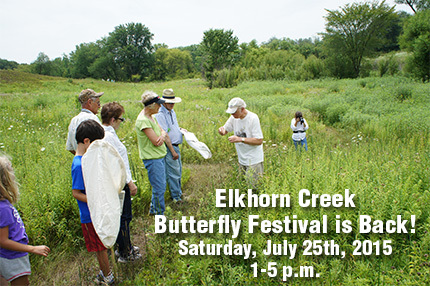 Grab the kids, the sunscreen and sunhats, and head to Elkhorn Creek for a fun afternoon learning about nature in a beautiful environment! They molt their feathers twice a year, which is unusual for a songbird. One molt occurs after breeding and before migration; the other molt occurs on the wintering grounds. Males change the way they look quite a bit. They go from the striking “skunkbird” black and white to more muted coloring that looks more like the female bird. What do you think they call a group of Bobolinks? They are called a “Chain” of Bobolinks! 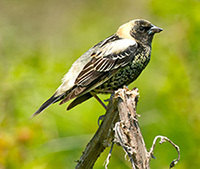 The Bobolink has been celebrated by several American poets. Get a small notebook that can easily be carried along on your nature adventures. Have one for each child. Date each entry: Note whether it is sunny or cloudy, rainy or snowy: note the time and temperature. It is fun to go back later to an entry about a place you have been before; compare and contrast how it was then and how it is now. Find a peaceful backyard spot and just sit, watch and listen. 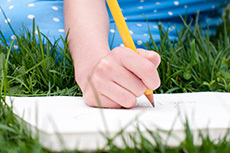 Have each child jot down (or do it for those who can't write quickly enough) what s/he sees, hears, smells. Have the child draw what s/he sees or any part of it or any object. Even a very young child can scribble a color. You and your child choose a flower or leaf, observe it closely, then draw it  without looking at it. Then look  did you forget anything? Do you see now details you didn't pay attention to the first time you looked? Now for a little more action  Catch some bugs! 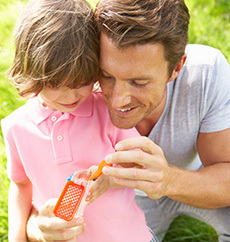 Get some inexpensive bug catchers or use simple plastic boxes with lids. Watch the bugs  describe them: draw or sketch one or more. When observing a bird, have each person just look  with or without binoculars, depending on the circumstance. Look first. The quietly compare notes  anything anyone noticed: size, beak shape and color, tail size and shape, wing bars, any behavior. By that time, the bird will probably be long gone  ”There it goes!”  try drawing what you saw; if you don't know the bird, try to identify; compare your drawing with a picture of the bird. The quality of the drawing is not important. The value of sketching/drawing is that it greatly sharpens awareness. “Oh, I forgot to put that in” or “I didn't see that before!” are common responses.